Casio has created a fantastic gift in its anniversary year for all live musicians. 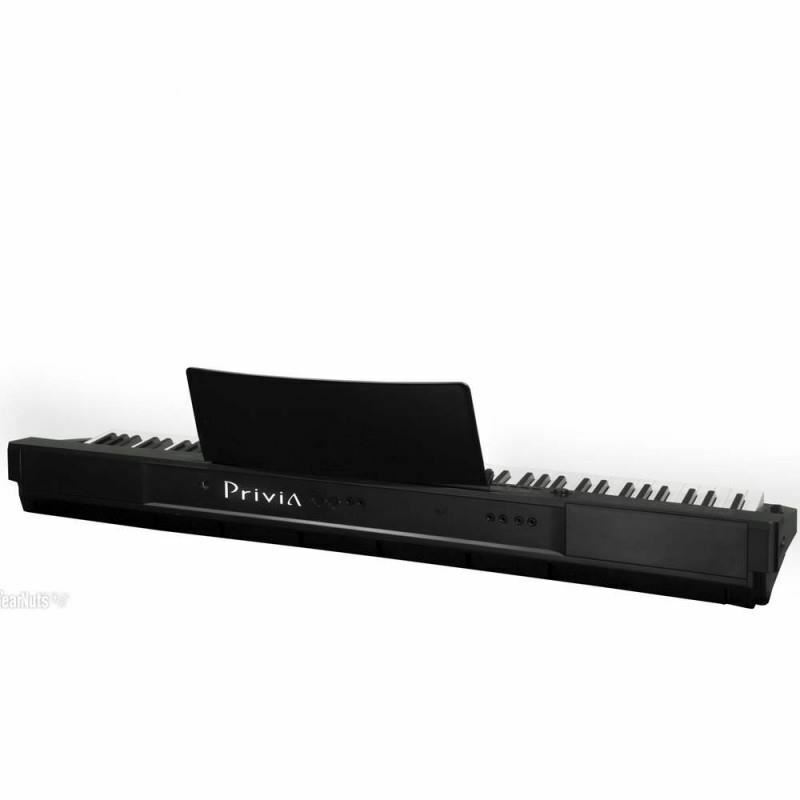 The PRIVIA PX-330, which forms the basis of the new limited edition piano, is taken to the next level for the stage. High-performance master keyboard functionality turns the piano into a controller. Editable DSP effects, tone editor and new tones expand its capabilities on stage and in the studio. On top of this, the 4-band equalizer enables a wide range of tone settings. Linear Morphing AIF sound source reproduces wider than ever, more natural fortissimos and pianissimos. A world-famous brand concert grand piano was used to collect samples of tones produced by four optimum key pressures for each note. Next, morphing technology was used to modify the notes for continuity. The result is naturally smooth transitions from delicate pianissimos to powerful fortissimos, which brings you a level of grand piano expression that until now was difficult to reproduce in a digital piano. True and smooth grand piano level key action is reproduced using the actual weight of the hammer, without relying at all on springs. 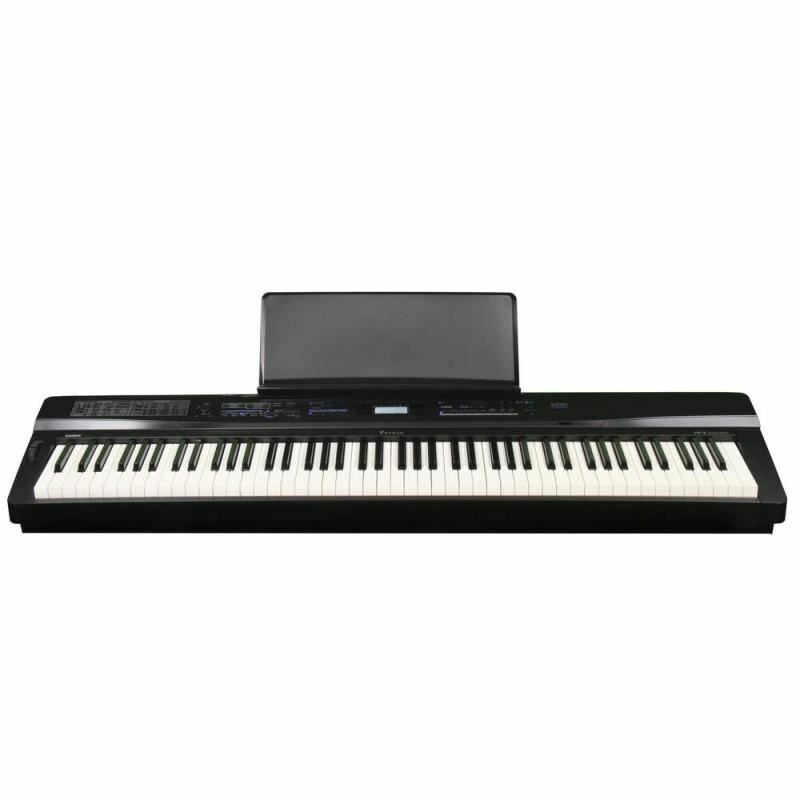 A 3-Sensor Scaled Hammer Action Keyboard improves playing of successive notes, for a musical experience that is the next best thing to an acoustic grand. Of course, low notes play heavier and higher notes play lighter, just like an acoustic grand. Elegant mat type keys have low-gloss surfaces that provide a surer touch and contribute to overall playability. On-stage control of multiple sound sources from a single location Tones and enhanced functions for band play and great live performances. Compact design for easy portability between performances or studios. Casio Privia PX-750 88 Weighted-Key Digital PianoGrand piano sounds from this smaller-sized keyboard.Features:88-Keys with scaled hammer actionGrand piano sounds18 Tones with split and layer2-Track recorder to help save ideasDual 8W speakers3 Pedals for realistic piano playingDurable cabinet with sl..